Verveba Team attended MWC in Barcelona this month. Mobile World Congress is one of the most important shows that displays the latest and upcoming technologies and innovation. Typically, there are over 100,000 attendees from all over the world. This year 5G, foldable electronics, Augmented Reality, Smart cities, smarter automobile along with Blockchain and AI dominated the discussions. Many new smartphones with 5G capabilities were launched during the show. MWC is a huge platform for technology companies to showcase their innovation to the world. 5G is here: Global operators discussed about 5G use cases, investments, business models and deployment strategies. Cisco forecasted over 400 million 5G connections in 3 years. Live tele-mentored surgery was another 5G use case demonstrated at the show. 5G Modems and Phones: Qualcomm hinted towards integrating 5G capabilities in the flagship product line, this will result into more 5G phones. The technology giant also marked 2019 as “The year of 5G”. Multiple 5G phones were unveiled. AR/VR: The fascinating experience of formula One to transforming experience of the Olympic games – AR/VR pulled huge crowds. Microsoft also launched the next generation headsets with 2K Optical resolution. Smarter Automobile: BMW will employ a combination of speech recognition, optimized sensor technology and context-sensitive analysis of gestures for interaction detection. Apart from the smarter vehicles, automobile industry is investing into future transport options helping people to get around cities easily. Network Security: With exploding number of connections, security will be a key challenge. There were multiple panels and discussion focused on securing these connections. 5G & IoT: Verizon & AT&T discussed their 5G plans. Verizon CEO Hans Vestberg outlines “8 currencies” of 5G. These include data rates, data volume, mobility, connected devices, energy efficiency, service deployment time, reliability & latency. AT&T discussed the expected volumes by 2020 and how the revenue model will change and 75% of the mobile traffic will be contributed by 4K video, autonomous cars, drones, VR/AR and gaming. Both operators demonstrated use cases from current deployments & trials. On the chipset side, Intel showcased ‘Snow Ridge’, the 10nm based network System on Chip aimed at upcoming 5G. Qualcomm announced that the company’s chips will be in 30 devices with 5G connections expected in the later part of 2019. It also announced three new chips for cars aimed at bringing digital dashboard technology to mass-market models. Smart Cities: Operators showcased their smart city solutions. 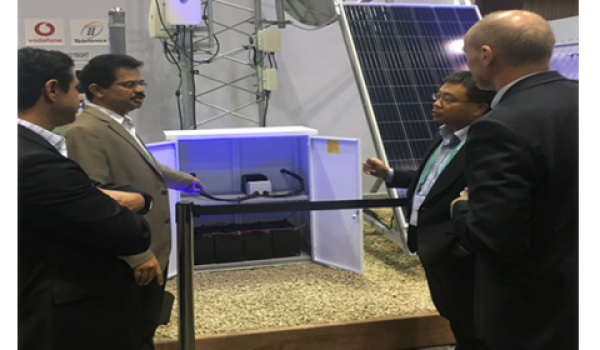 There were discussions on how 5G deployments will accelerate and improve the smart city solutions. Automotive: Self driving vehicles is one of the most important use cases for 5G. The show features some innovative developments from large car vehicle manufactures. Nissan’s Leaf E+ , Mercedes-Benz 2020 CLA-Class were some of the debutantes along with the passenger drone. Other technologies include Mercedes-Benz’s Vision urbanistic concept, In car mixed reality experiences, electric scooters & skateboards, flying drone helicopter and the list goes on. Health & Wellness: Fitness & wearable technology has been advancing at an unprecedented pace. With advancements in the hardware and technology, the devices have higher accuracy, more features and higher reliability of readings. Home Entertainment: With smarter & higher resolution TVs (8K) Samsung, LG & Sony showcased some innovative products. Roll up LEDs & huge screens attracted huge crowds. Augmented & Virtual Reality: Manufacturers showed their latest & greatest developments at the show. 3DRUDDER FOR PLAYSTATION VR, OCULUS QUEST, VR bike, Cybershoes showed the new possibilities with VR technology. Consumer Electronics Shows, is one of the prime shows for staging Innovation. “CES is the world’s gathering place for all those who thrive on the business of consumer technologies. It has served as the proving ground for innovators and breakthrough technologies for 50 years — the global stage where next-generation innovations are introduced to the marketplace. We have been selected as a finalist in this year’s Fierce Innovation Awards: Telecom Edition, a peer and analyst reviewed awards program from the publisher of FierceWireless and FierceTelecom. The competition highlights the advances in service and equipment developments unveiled during the past 12 months. Verveba Telecom was recognized as a finalist in the category of innovations in IoT. Verveba was selected as a finalist for its innovative, industry leading product, Antenna Monitoring System. Verveba team exhibited at the Mobile World Congress. There was a wonderful response at the show. The team was able to meet current and prospective customers, vendors and suppliers. This is the second Mobile World Congress Americas event by GSMA. The event took place at Los Angeles Convention Center. The show had over 22000 attendees from 110 countries. A total of 1000 companies exhibited at the event. Our demonstrations were focused on the key services and product offerings. Our services include deployments for 4G/5G, IoT, Small Cells, HetNet, Distributed Antenna Systems(DAS) and Wi-Fi. The product portfolio includes network testing solutions and Antenna Monitoring solutions. 5G business models continue to lag, but the use-cases being discussed are showing great potential to launches in the next few months. Verizon announced its fixed wireless access 5G product would launch in four US cities next month including (Houston, Texas; Indianapolis, Indiana; and Los Angeles and Sacramento, California). This service is based on 5GTF (Verizon’s standard). AT&T looks set to boost its low-power IoT offering with a launch of NB-IoT services in the second quarter of 2019. Artificial intelligence (AI), predicting the technology will revolutionize industries including media, healthcare and e-commerce. Transportation is another sector that stands to gain from AI, as vehicle-to-everything communications open the ability to reduce traffic jams and accidents. Intel is working with Nokia & Ericsson powering the first wave of 5G networks on trials and pilots. Intel is offering a broad portfolio of capabilities, from the client to the access, to the edge, to the core, and to the cloud. There were some demos about block chain and its applications. CBRS technology deployments are expected to start late 2019. AT&T said it will deploy fixed wireless service beginning in late 2019 using spectrum in the CBRS band. 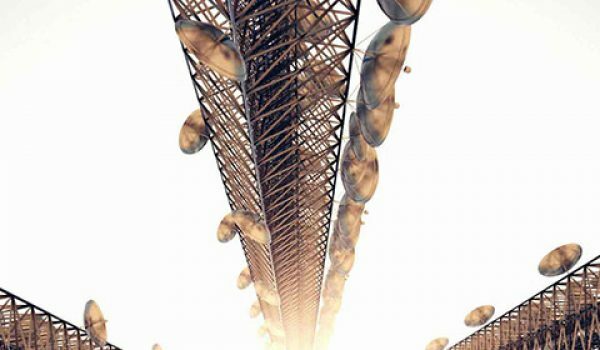 AT&T announced that it has selected Samsung and CommScope to supply the company with it’s first 5G-ready Citizens Broadband Radio Services (CBRS) network solution. NFV/Virtualization/Cloudification gets real in terms of a reality check. The benefits of NFV and cloudification are getting reset, gone are the promises of a 30% reduction in cost and replaced by suggestions of agility and time to market. The shift from capex (purpose-built platforms) to opex (COTS hardware and software licenses) has not necessarily reduced costs and pricing models are immature. Verveba team presented at the Open Cellular Workshop in Nairobi last month. This was the second Open Cellular workshop. There were technology and community leaders from different countries and the discussion was focused on the open cellular technology, design & deployment. Our SVP, Mauricio Villalon was invited to speak at the event. He discussed about “SI and local ecosystem – Adaptability and technical journey into the unknown”. In the keynote he spoke about Verveba’s role as a system integrator. He discussed the key challenges during network roll-outs in African continent. Mauricio’s keynote covered the diverse scenarios and focused on how innovative solutions can be effectively used for network deployment. The event had attendees from technical members of MNOs, regulators, regional operators, entrepreneurs and vendors. We will post the link to the full keynote soon. Verveba Telecom Ranks 1943 on the 2018 Inc. 5000 and 20 in the list top Telecommunication companies. Inc. magazine today revealed that Verveba Telecom is No. 1943 on its 37th annual Inc. 5000, the most prestigious ranking of the nation’s fastest-growing private companies. The list represents a unique look at the most successful companies within the American economy’s most dynamic segment—its independent small businesses. Microsoft, Dell, Domino’s Pizza, Pandora, Timberland, LinkedIn, Yelp, Zillow, and many other well-known names gained their first national exposure as honorees on the Inc. 5000. “We are honored to be included in this prestigious list of companies. This is the evidence of the growth we’ve sustained since starting the company in April 2010. Our success is defined by the entire team who is passionately driven to exceed expectations. This is the recognition to our organization’s commitment in providing exceptional services and solutions to our clients.” said CEO Manik Arora. We will be exhibiting at Mobile World Congress Americas in Los Angeles. Follow us on LinkedIn and Twitter for further updates. We exhibited at the Network of Future, a TIA Event. 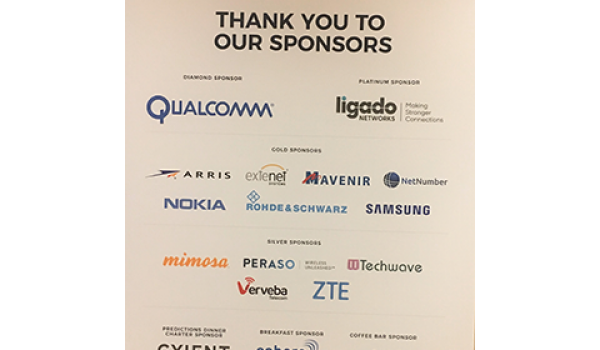 The conference was a 4 day event focused on Cross-Industry collaboration to accelerate connectivity. This event was co-located with AT&T Supplier Summit. There were attendees from different industries and domains. Impact of Internet of Things on business : The Keynote focused on business transformation and impact of IoT. Machine Learning and AI : Discussions on how increasing levels of machine learning and correlation of information offer improved efficiency & effectiveness in thenetwork. The keynote also explained Verizon’s path to self-optimized, auto-remediated intelligent networks. Densification: The panels discussed how network densification is a fundamental requirement for realizing 5G’s latency potential. There were discussions on challenges on how densification requires many technologies working in seamless synchronization with each other and legacy systems already in the field. Intelligent Transportation : General Motors presented the latest developments on Intelligent Transportation and dependency on 5G. Smart Buildings: Role of smart buildings as the foundation for smart communities and smart cities. CBRS alliance is set up to support the common interests of members, implementers and operators for the development, commercialization, and adoption of LTE solutions for the US 3.5 GHz Citizens Broadband Radio Service (CBRS). 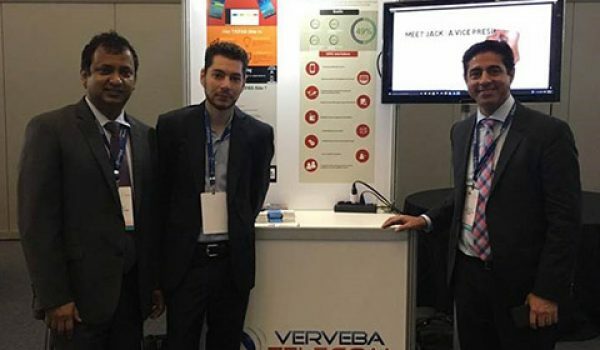 Verveba exhibited wide range of products and service portfolio at the NextGen Wireless Summit. This event had lot of attendees from the operator domain. The conference focused on the building the future wireless networks. 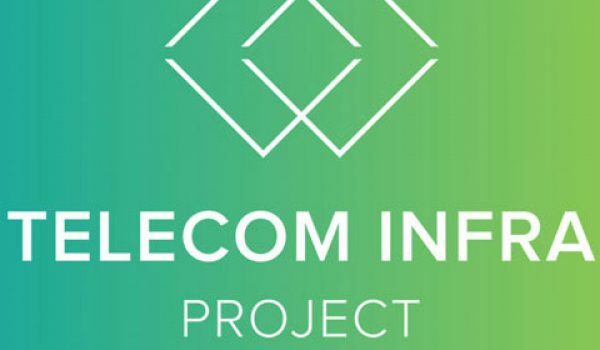 The Telecom Infra Project is a Facebook initiative to connect the unconnected population across the globe. The initiative has been started with the vision of connecting the entire world population to the internet. Operators around the globe (Europe, Middle East, Asia, Latin America) have shown interest in the project and are actively working towards the vision. Verveba has been a TIP member since 2016. There was a global audience at the summit and the speakers shared some great case studies around the future of networks and challenges to deploying the networks in remote rural areas. The TIP working groups are focused on building open source technologies and platforms leveraging the telco experience and Facebook data. This year we did participate at the MWC Americas. We demonstrated and pitched our services and products. One of the key demonstration was TAPAS Venue, a tool build to understand end user experience. Facebook, Deutsche Telekom, Telefonica, Vodafone, and Nokia. TIP is an engineering-focused initiative driven by operators, infrastructure providers, system integrators, and other technology companies that aims to reimagine the traditional approach to building and deploying telecom network infrastructure. TIP will explore new approaches and technologies across three initial focus areas: access, backhaul, and core and management. The project groups within these areas will leverage the unique engineering and operational expertise of each member, focusing on developing new technologies and exploring new approaches to deployment in both developed and emerging markets. Verevba Telecom will bring worldwide expertise in innovative and cost-efficient network deployment and testing solutions for wireless technologies. Verveba will leverage its knowhow on end-to end wireless roll-outs and solutions to contribute to the project groups within TIP to improve people’s lives through better connectivity. 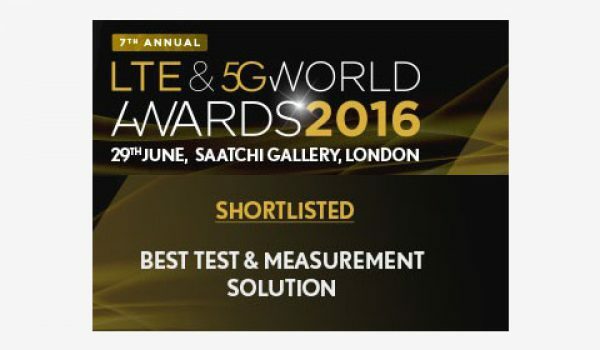 Our Product TAPAS-Predict has been Shortlisted in Best Test &amp; Measurement and Solution Category at the 5G World awards. 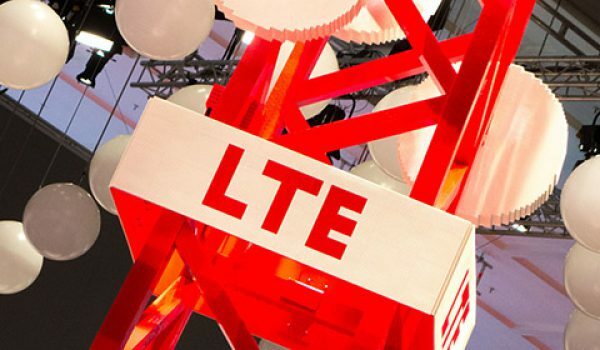 “The LTE and 5G Awards 2016 will return for its 7th Edition. The awards will serve as the industries opportunity to praise, recognize and endorse the latest developments in 5G research, product development and innovative use cases and network architecture. Verveba showcases the product line TAPAS at the LTE Latin America 2016 at Rio , Brazil. Verveba Telecom Makes It All Possible. We depend on these wireless devices to make and receive calls; take and share photos and videos; send and receive texts and emails; play games; and keep up with the stock market, the head- lines, and the goings-on of our friends, family members and favorite celebrities. And it’s hard not to be enticed by the ever-larger screens; ever-increasing app selections; and ever-more- appealing features, color selections and accessories introduced almost daily. But behind every great wireless service provider or equipment manufacturer is an equally great, if lesser-known, telecom engineering company. Verveba Telecom makes it all possible. You may not have heard of this fast-growing, Texas-based technology startup, but its customers include some of the world’s leading service providers and equipment manufacturers. 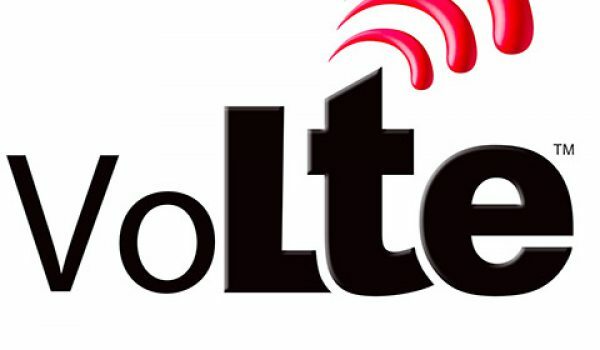 The company also has expertise in older technologies such as 3G and is gearing up for newer ones like Voice Over LTE (VoLTE) and 5G. “Our engineers are significantly involved in launching LTE and VoLTE for Tier-1 operators and Top OEMs in North America,” Arora says. 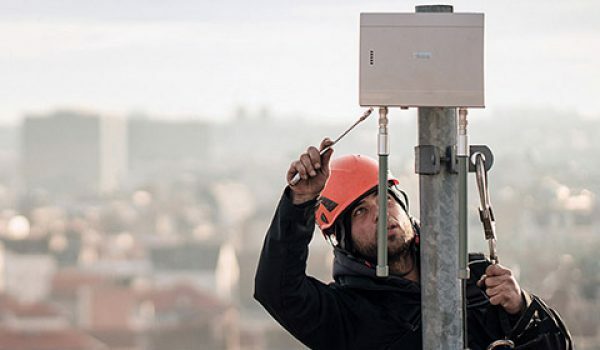 Verveba is also helping its customers to enhance in-building customer experience by providing strong expertise in DAS (Distributed Antenna Systems), small cells and WiFi networks. Arora and his team have much to celebrate as they look back on Verveba’s first six years. The company, which started out as a consulting shop operating from Richardson, Texas, in 2010, now has more than 350 employees in the U.S., Canada, Mexico, India, Kenya and Nigeria. It continues to add customers globally and has seen its revenues grow almost every year, to approximately $20+ million in 2015 worldwide. 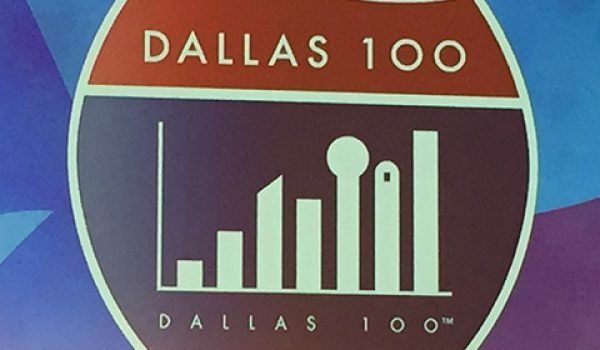 In fact, it was named to the Dallas 100 list of the area’s fastest-growing companies in both 2013 and 2014. Plus, he says, the company has been “fortunate to be in the right industry at a time when every operator is looking to upgrade its wireless networks to meet the growing demand of mobile users.” Look for Verveba to continue to be in the right place at the right time for many years to come. 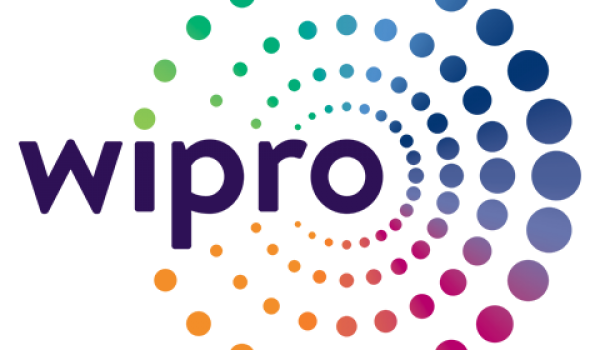 Verveba is proud to announce the partnership with Wipro Limited. The partnership brings together Wipro’s expertise in telecom sector and Verveba’s award winning Mobile Radio Network Optimization technology with services, intellectual property and solutions of both organizations. Together, the companies will offer solutions to address industry challenges in generating measurable economic value from fast growing, mobile network technology deployments & optimization especially in 4G and single RAN technologies. “Verveba’s solution augments our Telecom Network Services portfolio for the communications industry by delivering better business outcomes through cost reduction, improvement in turnaround time & process simplification, across the multi technology Radio Network Optimization field. 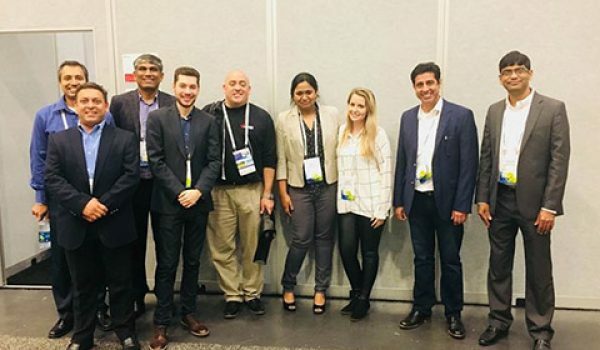 This aligns well with Wipro’s goal of offering comprehensive, cutting edge customer experience solutions to our clients” said Anil K Jain, Sr. Vice President; Global Business Head – Communications Business Unit, Wipro Limited. TAPAS receives the prestigious LTE Test and Measurement Equipment Price/Performance Value leadership award! TAPAS is giving customers an end-to- end and full review of the LTE rollout at an unbeatable cost and time within the market place. Its ease of use, simplicity, and flexibility in modeling, configuring, and adaptive features for data collection have facilitated its penetration into different operators. 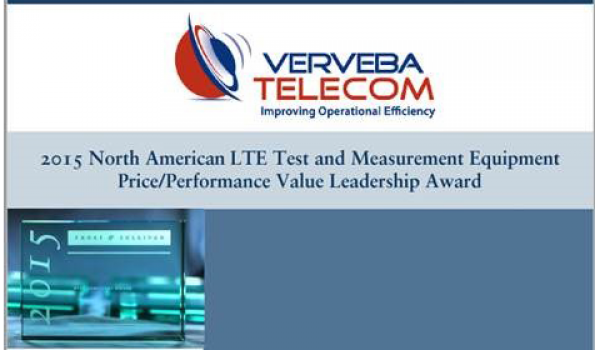 With its strong overall price performance, Verveba Telecom has earned the 2015 Frost & Sullivan Price/Performance Value Leadership Award in the North American Test and Measurement Equipment Market. 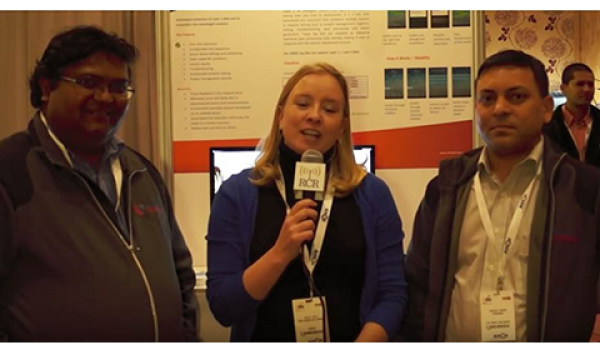 Verveba demonstrated its unique tools at the LTE North America. The tool received accolades as it was shortlisted in the category of Best Test and Measurement Category. Verveba provides a unique approach to the network testing methodologies reducing the time to market per site. The simplified and automated solution will prove to beneficial for faster network deployments. Verveba Telecom is awarded a contract for the network services project for the year 2014-2015 (Sprint Network Vision) by a strategic tier-1 OEM partner. Under this agreement, Verveba will support LTE rollouts, CDMA / EvDO technology swaps and rollouts, conduct RF optimization, RF planning and provide 4G multi-carrier optimization services throughout the US. 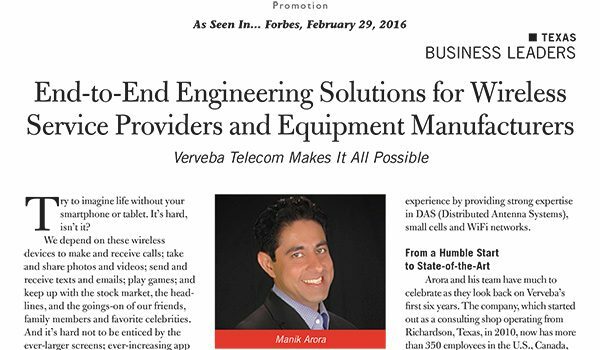 Verveba telecom has been awarded Small Cell services contract by their strategic OEM partner. Under this agreement Verveba Telecom will deliver Survey, Design and Optimization services on Small cells roll-out through out nationwide. Verveba Telecom has been selected to provide turnkey LTE RF optimization services for a leading telecom OEM In USA. Verveba Telecom will provide services like shakedown testing; drive tests and other optimization activities to meet strict customer requirements and to ensure delivery of the best network performance in the marketplace.